The coca leaf doesn't travel well. By the time leaves sent by early colonists in South America reached Europe, they had lost much of their potency. So for centuries the plant remained litte more than a curiosity of interest only to obscure European botanists. The active alkaloid of the coca plant, cocaine, was first isolated from coca leaves by the German chemist Friedrich Gaedcke (1828-1890) in 1855. Gaedcke published his discovery in Archives de Pharmacie; he called it "Erythroxyline". An improved step-by-step purification process was described by Albert Niemann (1834-1861) of Gottingen University in 1859. Niemann called the compound "cocaine"; and the name stuck. He was awarded a PhD; his dissertation was published in March 1860 as a slim volume called On a New Organic Base in the Coca Leaves. Niemann writes of its "colourless transparent prisms...Its solutions have an alkaline reaction, a bitter taste, promote the flow of saliva and leave a peculiar numbness, followed by a a sense of cold when applied to the tongue." Niemann had discovered that cocaine acted as a local anaesthetic. He died a year or so later in mysterious circumstances. The exact molecular formula of cocaine (i.e. C17H21NO4 ) was elucidated in 1863 by Niemann's colleague Wilhelm Lossen (1838-1906). In 1894, German chemist Richard Willstaetter (1872-1942) was awarded his doctorate from the University of Munich for discovering the its structural formula. 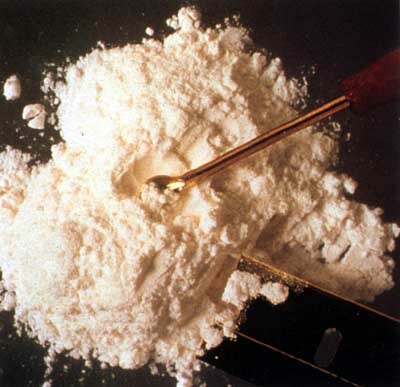 The commercial production of purified cocaine gained momentum only in the mid-1880s. Its greatest medical value was in ophthalmology. Eye-surgery stood in desperate need of a good local anaesthetic. This was because in eye operations it is often essential for a conscious patient to move his eye as directed by the surgeon - without flinching. 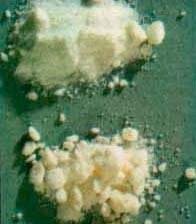 Viennese ophthalmologist Karl Koller (1857-1944) discovered that cocaine was ideal for the task. From 1884, news of his successful experiments travelled round the world. The military took an interest as well. In 1883, German physician Theodor Aschenbrandt administered cocaine to members of the Bavarian army. It was found that the drug enhanced their endurance on manoeurvres. "...exhilaration and lasting euphoria, which in no way differs from the normal euphoria of the healthy person...You perceive an increase of self-control and possess more vitality and capacity for work....In other words, you are simply normal, and it is soon hard to believe you are under the influence of any drug....Long intensive physical work is performed without any fatigue...This result is enjoyed without any of the unpleasant after-effects that follow exhilaration brought about by alcohol....Absolutely no craving for the further use of cocaine appears after the first, or even after repeated taking of the drug..."
It was Freud's fourth recommendation that caused the most controversy. Cocaine is no longer prescribed as an antidote to morphine addiction. Taken in an oral solution as Freud had envisaged, cocaine was indeed less likely to be addictive than when administered by the intravenous route. The euphoria induced is delayed; and it may be less intense and even subtle. A lot of the cocaine is broken down in the liver before it reaches the brain. However, hypodermic needles were starting to become widely available in the 1880s. Morphine addicts soon discovered that subcutaneous injections of cocaine yielded a quick, potent and addictive high. Before long, many users became hooked on cocktails including both. Using cocaine to cure morphine addiction, Freud later ruefully admitted, was "like trying to cast out the Devil with Beelzebub."